IMMIX baserail. Made by Richard Burbidge, this high quality white oak handrail comes pre-finished in a clear lacquer. The Immix baserail is slotted along the length of its top side to accept the glass panels and balusters. 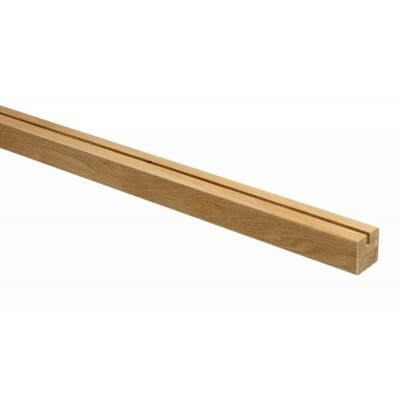 Supplied with baserail fillet which fits in the slot between the spindles and glass panels. Overall size: 60 x 60 x 3600mm. Fitting instructions included with top rake connector.